Tractor safety is paramount for every person going even remotely close to one. Find out why here. Probably the most common piece of farming equipment ever, the tractor is completely associated with farming. As this critical piece of machinery has evolved over the years, the one thing that has remained the same is the fact that safety is still paramount when working with them. 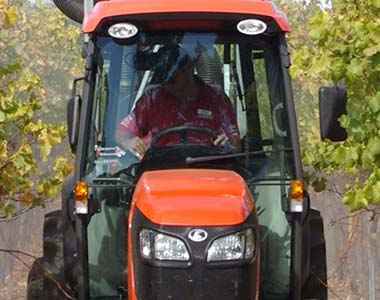 There are several safety tips you need to take into account when using a tractor. Children should never be allowed to play around a tractor, ever. One of the most important safety tips is to ensure that everyone is clear of the tractor when it is operational. The amount of avoidable pedestrian injuries that are caused by either the tractor driver not checking the vicinity around their vehicle, or the pedestrian not taking notice of their surroundings, is high. Drivers often assume that the moment a tractor is switched on, people will scatter but that’s not the case at all. Please be fully aware of the space around your tractor at all times. Rollovers are completely avoidable, but they can also happen within seconds. Rear and side rolls happen when the rear wheels are unable to fully rotate, or when the centre of gravity is off. Considering the weight on either side of the vehicle, it stands to reason that the moment there is no balance the ballasting will be off and a tractor can flip. Drive slowly, don’t turn at excessive speeds, don’t drive on hillsides, and stay away from ditches and slippery spots where your tires can’t get traction. All of these situations can create problems when you’re operating a tractor. Never start the tractor when you are outside of the cab. You can never be certain if the previous driver left the shift in gear or not. A tractor begins to move the moment you start it up, and if there is a slight delay due to a hydrostatic – or any other – transmission, it will only be fleeting and then you will have to jump out of the way. 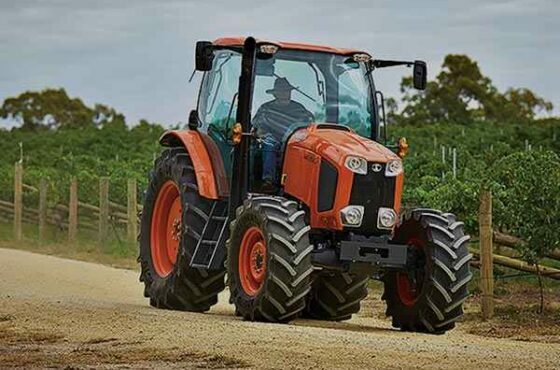 Modern tractors are fitted with shield covering, which helps to negate by-pass starting but this doesn’t change the fact that you should never start the machine without being in the driver’s seat. The space between a tractor and the machinery it is pulling or towing, is a no-man’s land. This space should not be entered unless the tractor is in neutral, switched off and the keys are removed from the ignition. The likelihood of slipping between the machines and being crushed is drastically reduced once everything is switched off and the handbrake is up. A tractor may be considered a ‘slow moving vehicle’ but that doesn’t mean much when it’s bearing down on a person, so please ensure everything is switched off. They may look completely innocuous, but tractors can be extremely dangerous to deal with. Safety is paramount because accidents happen very quickly with these vehicles. These simple tips are basic, however, you need to always read your instructor manual, have a good understanding of hydraulic systems and know exactly what is required for your personal safety when operating heavy machinery.